What are the different types of facial pain, and why do I get it? By far the most common form of facial pain is toothache and this is a form of pain that most of us will likely experience in some form during our lifetime. A general dentist will usually be able to provide near immediate relief for the patient by treating or removing the tooth. Toothache would generally be regarded as what is referred to as acute or short lasting pain. In most cases it is easy to diagnose and in many cases the patient will be aware of the tooth that is the source of the problem. At times the pain of toothache is not localised to a particular tooth and this may make it difficult for the dentist and the patient to be sure which tooth is responsible for the pain. Where this is the case your dentist may suggest the use of pain –killer medication to relieve the pain until the source has become obvious. This usually happens within days and at this point the tooth can be treated with reasonable certainty and the problem dealt with. There are times where the pain may never be accurately diagnosed or pain of toothache continues on for weeks or months without a break which would be an un-common feature of toothache. In this case your dentist may suggest a referral to an Orofacial Pain specialist, as in this instance dental treatment will not be helpful. This form of pain is sometimes referred to as non-odontogenic pain meaning that the cause of the pain is not related to a dental or tooth problem. With this form of pain you may find that conventional pain-killer tablets are not of any benefit. An orofacial pain specialist may prescribe medications used for other forms of medical treatment to help with your pain, such as an older form of anti-depressant or a medication used in the management of seizures. It is estimated that 17-20% of people will suffer from non-dental facial pain at some time, most cases of which are mild and will resolve without requiring specialist assessment. But 7-11% of the population will suffer from long-term or chronic orofacial pain. Many of these will suffer in silence for extended periods as they are unaware that specialist help may be available or are not advised to see an orofacial pain specialist by their dentist or doctor. Many untreated sufferers become convinced that they themselves are the problem and that the pain must be “in their minds” as no obvious reason has been found for it despite multiple investigations. 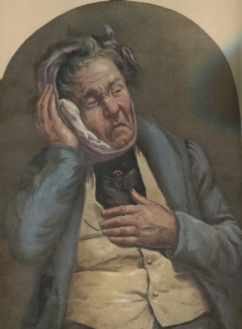 The vast majority of “mystery” facial pain has a simple cause, but may need a diagnosis with dentist who specialises in orofacial pain management. Sinister causes for undiagnosed facial pain are also very uncommon, but many without a clear diagnosis become convinced that they must have a brain tumor that nobody has to date been able to locate. Facial pain may seem to occur in different areas at different times and with different symptoms some of which are described by patients as being uncomfortable rather than painful. Likewise pain may occur in any or all areas from the upper back and (even in the arms at times) to the top of the head. The vagueness of the pain may confuse the patient and doctor alike. Fortunately most facial pain can be easily treated, although pain that has been present for an extended period of years, although of simple cause, may not always respond to treatment as the entire pain system may have been altered over time. Again this situation is not common.